When the Apostle Paul was on the road he wasn’t sure where to go next with the Gospel. Oh, to be sure, he had an idea of where he wanted to go, but the Bible gives us a puzzling couple verses in Acts 16. How did the Holy Spirit and the Spirit of Jesus – possibly the same thing, we believe in one triune God – stop Paul from going into areas to conduct ministry? I don’t know but the logistics of mission work are interesting and, at times, can be complicated too. One example this is wonderful are the new opportunities afforded our church body in Vietnam. Why a communist nation would invite our little church body in to conduct ministry is a mystery. My God is in control of the events of this world for his kingdom. It is a small thing for my God open doors for mission work to be done. On the home mission front our church body is divided up into twelve districts. Each of the twelve districts has a mission board. That group is charged with prioritizing different locations for church plants and shepherding mission churches. Those mission boards bring their request to our church body and ask for funding. All of the requests are prioritized and funded accordingly. There is never enough money or manpower to go everywhere we would like. Paul didn’t get to go everywhere he would’ve liked to either. We trust that the Lord of the church will bless our efforts. 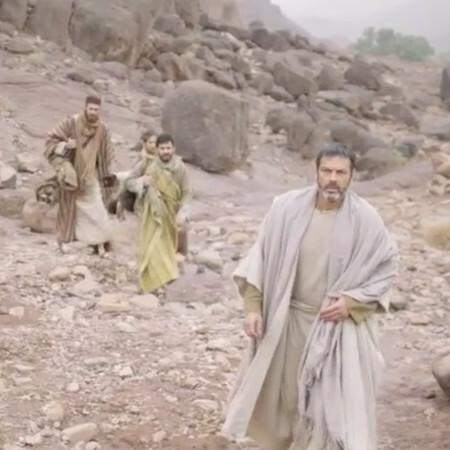 In our movie clip we have don’t have a lot of information, but the Apostle Paul sees a vision of a man calling him to Macedonia – modern day Greece. Paul concluded that this was a call from God. God still calls men and women into his harvest fields. Pray to the Lord of the harvest that he might continue to send and raise up public ministers of the Gospel. Want to hear more? Watch this week’s lesson from our Bible class series, Ends of the Earth: On the Road. Please click HERE to watch the movie clip.